Most of the companies all across the globe have been attracted by the IoT, and you will be perplexed to account that many have started creating IoT based internal business unit to reduce work effort and establish the smartly connected environment. Gartner- recent survey unfolds that 43 percent of organizations were using and trying to implement this advanced technology from a couple of years. However, today, IoT has become a top business initiative. Well, let’s understand, what is this IoT platforms? These are suites of components, responsible for the deployment of applications, that monitor, and control connected devices. Generally, they collect data from connected devices in order to manage them such that it makes sensible use of data in an aligned manner. With the skyrocketing popularity, the recent market is flooded with IoT platforms. As we know, to build an IoT solution, a platform to host and support it is required. 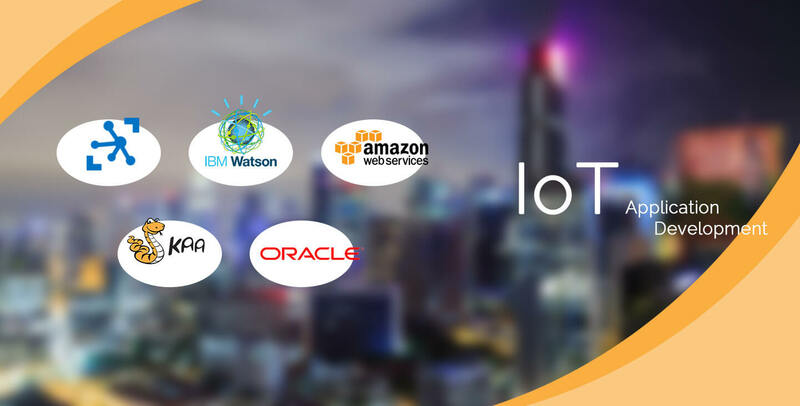 In this blog, we have listed the top Internet of Things platforms which is gaining popularity. Collection of services as such IoT Hub, Stream Analytics, Machine Learning, Notifications Hubs and Power BI, make an Azure IoT Suite. Powering plethora of devices and operating systems, it allows analysis and visualization of bigger data. Hence, it is also recognized for its feature like scalability from POC to the larger deployment stage. With IBM Watson, you can secure all type of device quickly that are connected. It allows developers to have access to complete connectivity, information management, and real-time data analysis along with risk and security management. The real-time data collected from the connected devices are managed, then configured and integrated with data services. Securely designed, this platform has given excellent way to protect the integrity of your IoT solution. It is one of the most popular IoT platforms on the market and renders a highly reliable, and low-cost infrastructure platform in the cloud. Due to its great scalability, it is used by thousands of businesses all around the world. Well, it is cost-effectiveness, and flexibility that make this platform one of the best option for developers. Oracle hit the IoT market, like no other platform, released late 2016, it holds a crucial place. With the cloud service, you can receive flexible IoT network topologies, simulation of a virtual device, stream processing, command, and control functionality. Furthermore, it allows users to collect data, securely from any device in any market through technical abstraction. Oracle IoT is pre-integrated with Oracle PaaS and on-premise applications using open APIs. Hence, it provides real-time analytics via big data processing. Kaa is a 100% open source IoT platform, which provides a unique development for end-to-end IoT solutions, smart products, and connected applications. Due to its feature-rich toolkit, this IoT platform fits your budget and at the same time is customizable for different business applications. Moreover, it offers easy and direct hardware integration to the developers. The rapid transformation and technology innovation puts a pressure on companies to walk in accordance, hence different platforms are expected to be explored. And of course, the choice of the platform is dependent on the necessity of your business and your industry.